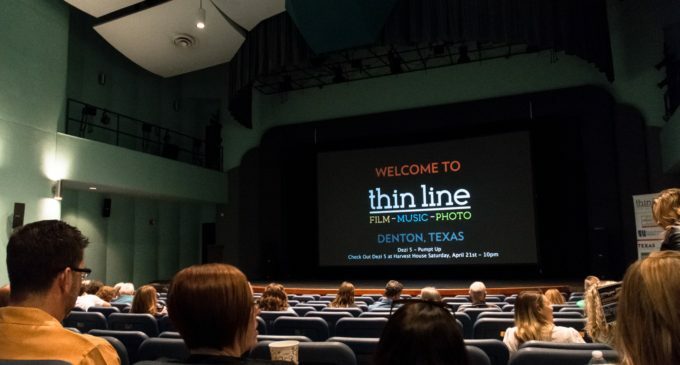 Every year deep in the heart of Denton, people from all around the world come to the Thin Line Fest to throw a five-day celebration of film, photography and music. This year’s festival lasted from April 18 to April 22 and offered hundreds of opportunities to see these different art forms from local and out-of-town artists all around Downtown Denton. Light shines in through the windows of the Hickory Street Office doors and onto the photographs being displayed inside. 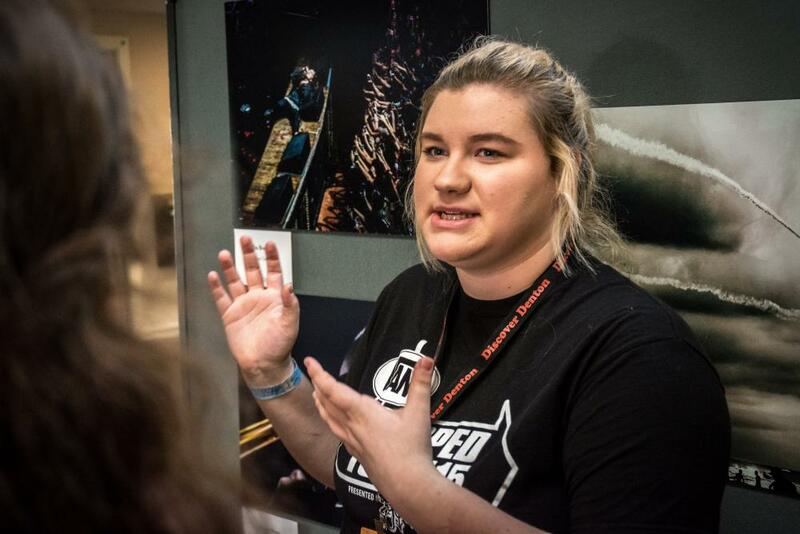 Knowing her photo is on one of the display boards in the lobby, 20-year-old concert photographer Abby Stanford walks in off the Square to find it. “I took that,” she said when she saw it for the first time in the gallery. She remembers the moment it was captured: the band LANY was playing at the House of Blues in Dallas, and she was sitting in her favorite spot, looking at the concert from above through her lens. Now, photo of LANY lead singer Paul Klein, titled “The Breakup,” is a finalist in Thin Line’s photo contest. The piece hanging in the Hickory Street Office gallery is one of four Stanford submitted to the contest. Out of the 720 submissions from 212 different photographers, her work caught the attention of Thin Line’s photography board. Each of the three photo galleries at Thin Line showcases the real-life moments captured by photographers in Denton and across the nation. The festival also gives Denton locals like Stanford the opportunity to share their love for photography in the town they call home, which makes the festival even more special. 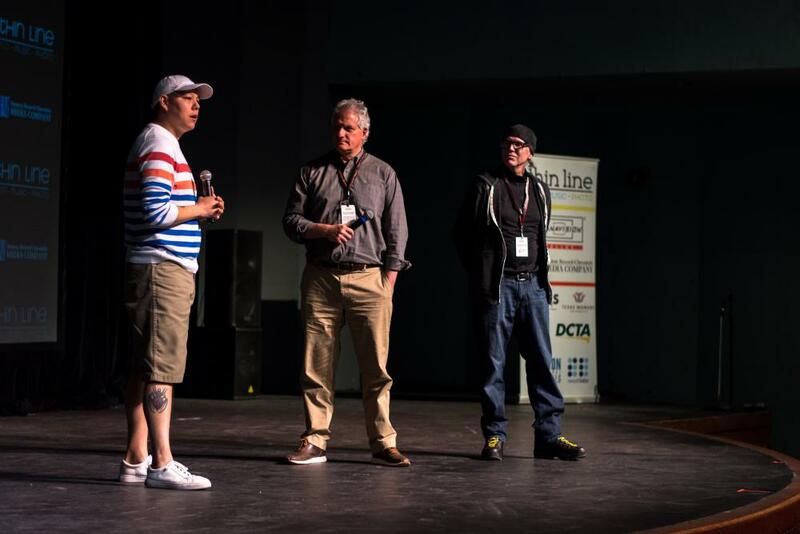 Moments before the lights dim, co-director Bob Trench and special guest Meskwaki Native American Dirk Whitebreast are brought on stage to introduce the documentary film, which focuses on the effects of historical trauma in the Native American population. The project took four years to complete after extensive research, many interviews and a great amount of collaboration with Native Americans to make sure their stories were told truthfully. Whitebreast is one of the many Natives connected to the film. He is part of the Meskwaki tribe in Iowa and became a long-distance runner after his 18-year-old sister committed suicide 11 years ago, an issue many Natives consider to be “an epidemic.” Now, he tells his story of resilience and challenges the stereotypical views most of the country has about Native Americans. “Films like these are important because you can have a person who has no idea what our world is like, what we go through, and one right word could change their mind,” Whitebreast said. When the filmmakers were choosing where to premiere “Dodging Bullets,” they had many options. But the DFW area’s historical connection to the film’s subject matter is what made them choose Thin Line. The film is one of six documentaries world premiering at Thin Line. The festival’s film team was honored when they found out Dodging Bullets had entrusted Denton with the important premiere. As the credits rolled across the screen of the Campus Theatre, the audience applauded. It is the response the filmmakers were hoping for, and as they look beyond the world premiere at Thin Line, they are hopeful for the impact the film will have on future generations. It’s a few minutes past midnight, the photo galleries have closed and the last films have been screened for the evening, but Dan’s Silverleaf is alive with music. Members of the community are standing near the stage ready to experience Denton band Mother Tongues’ performance. The band was created three years ago by original members and brothers Tyler and Garrett Spears. Tonight, they are playing at Thin Line for the second year alongside Trent Reeves, Calvin Lebaron and Drew Mealer. The music they create is more experimental than anything, although many describe it as psychedelic rock. “Mother Tongues have, in a way, started to become like a staple in the fest as far as locals that we continue to work with every year, and it’s a great sound too,” Thin Line co-director of music Dallas Guill said. 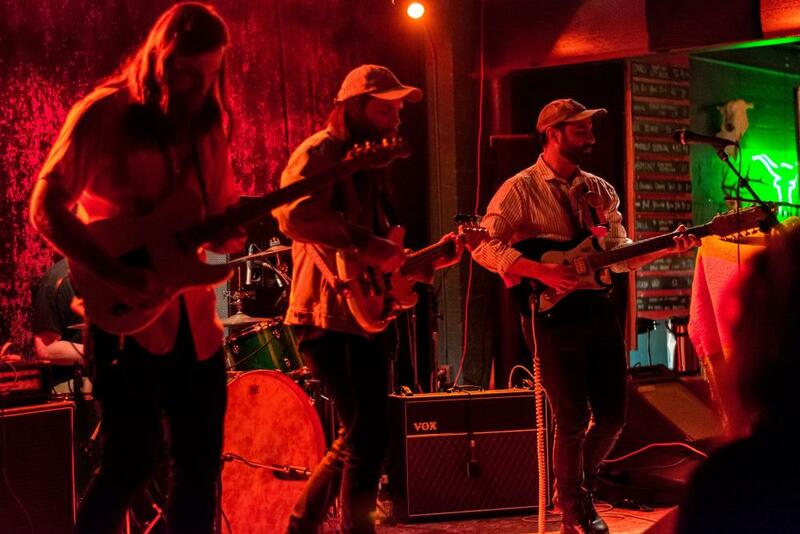 The Denton band is one of 44 music acts playing during the five-day festival spread out over four locations. Since the music acts are made up of local and out-of-town artists, Mother Tongues is getting the chance to represent the town they love with fellow musicians they admire. As people come walking through the door in the early morning hours, one day of Thin Line comes to a close and another is welcomed in by the experimental sound of Mother Tongues. They are just one moving piece of the festival that celebrates the many aspects of art in and outside of Denton. In just one day of Thin Line, original photography is admired, documentary films are seen and live music is enjoyed. And in a few short hours, it will all be happening again.